You may not look into your toilet tank very often. I know I never did until someone asked me to come up with a cleaner for it. Mine was rusty and dirty looking. And I was worried about harming the pipes and septic tank with harsh cleaners, so I concocted this natural solution. I wrote about diy toilet bombs before. And you should definitely make and use them to clean your toilet bowl. But don’t stop at the bowl, the tank needs periodic cleaning too! Did you know that many plumbers actually recommend cleaning your toilet tank at least twice per year? Debris and other buildup in a toilet tank can lead to erosion of the toilet components, and affect the use and lifespan of your toilet. Furthermore, if you have a rarely used toilet somewhere in your house, the standing water in the tank can harbor mold and bacteria. A dirty toilet tank may also cause odors to permeate the bathroom. Cleaning the tank a few times per year with these natural DIY toilet tank cleaner tablets will prevent these issues and keep your bathroom fresh. 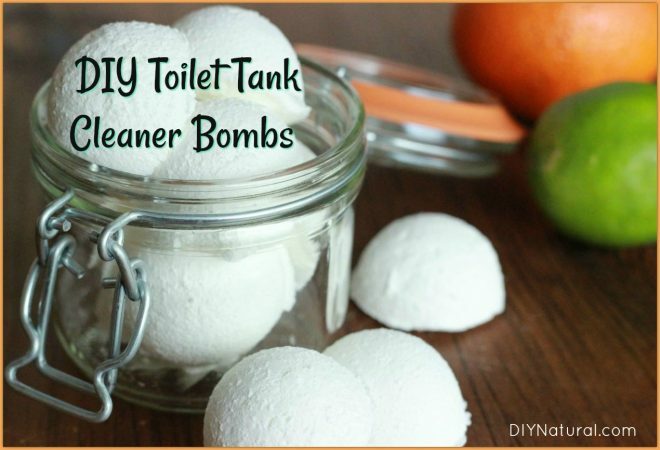 The easiest way to make a DIY toilet tank cleaner is to start with a bath bomb recipe. One part citric acid to two parts baking soda. 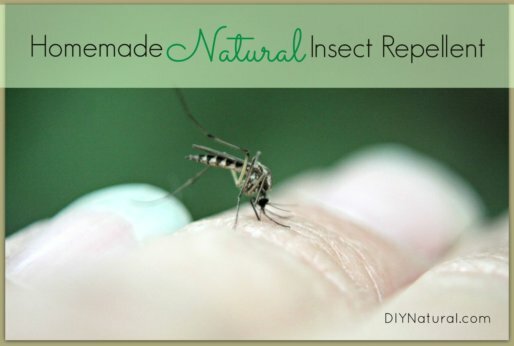 Add some liquid soap and essential oil and you’re on your way. Mix the citric acid and baking soda in a glass or stainless steel dish. Add the essential oil and mix well. Add the liquid soap slowly while mixing. Note: Stop adding soap if the mixture gets too wet and begins growing. The mixture should be just wet enough to hold together in a clump when squeezed in your hand. Add a tiny bit more soap if needed until the mixture holds its shape when squeezed.) Stir until mixed thoroughly. Fill small silicone molds (about a tablespoon or so) with the mixture and pack well. Allow to dry for 12-24 hours. Pop out of the molds and dry over a few days. When thoroughly dry, store in a quart jar with a tight fitting lid. It is important to keep them very dry. You’ll simply drop one of the tablets into the back of the toilet tank and wait. The fizzing action of the tablet, like their bath bomb cousins, will go on for a few minutes. Flush the toilet and you’re done! It was once thought that the citric acid was too harsh for household pipes, but now it’s known that the baking soda neutralizes the acid to a harmless level. It will not harm pipes or your septic tank. The essential oils will kill any germs and your tank will be clean and disinfected. Have you tried natural cleaners for the back of your toilet tank? Tell us what you think! I have noticed that vinegar, over time can harm (make sticky) the rubber parts of the toilet flapper and need to replace it more often. Anyone else notice this? I use 20% gardening vinegar (dilute to 5%) in my washer for the rinse cyle and toilet both are getting on in age, I’ve never had to replace either. Previous washer was 7+ years old when I passed it on to someone in need still worked fine. I’ve never worked with citric acid before. Do I need gloves to do this? Does it matter if a wooden spoon or a metal spoon is used to stir this mixture? Citric acid is safe to work with, Ginny. It’s equivalent to vitamin C in strength, so it won’t hurt your hands. I don’t use wood because I’m afraid of the oils soaking into it. I either use a stainless steel spoon or a styrene plastic that won ‘t leave and transfer chemicals and won’t soak up oils. Thank you, Debra! I am going to make this tomorrow! I thought why not use only baking powder mixed with some white vinegar and water (ratio 1:1) for cistern cleaning. Thanks Jeanette! Always good to hear things are working well. Hi Mohana! That works too. I just made these in tablet form to save time with measuring.